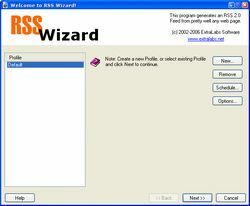 RSS Wizard was available as a giveaway on June 11, 2010! The program has been especially developed to meet the needs of both novice and advanced users. Now the RSS Wizard features a built-in scheduler so that now it can function in a 100% automatic mode creating excellent RSS channels without any user assistance. What is he version number of this program? Regarding 17's comment on the Visual Basic issue, could someone confirm, deny, or otherwise further expand upon this issue? Seriously! When did this place become a debate about comments and votes? I started coming here at the end of 2008 and back then people actually gave good reviews and the votes were accurate with the comments. Now nobody gives correct votes so I am confused and rarely download unless it was given away earlier and I go back to look at the comments there. Just downloaded the RSS Wizard. This will be such a tremendous help in the future. Thank you for developing such a wonderful piece of software. Will cut down on my manual work for certain! Just had a look at the documentation on developer's homepage (screenshots and "manuals", forum). Just this tiny bit short of 'something', just this tiny bit above 'nothing'. The "manuals" are just two (2) extra screenshots! I my vocabulary "manual" has a different meaning and more content. I've just quickly scanned the Forum and didn't feel up to search for FAQ's (which are not there)... But perhaps I should have approached this the other way around? Perhaps there was a problem with languages and translations? Developer statement: "The program has been especially developed to meet the needs of both novice and advanced users." Give us a break, will you? When the above minimalistic requirements are not met, don't put your product on the market. Least of all give it away "to meet the needs of (...) the novice"... You're rediculising yourself, your product and your potential costumers. I'm not saying the program is no good. I'm saying that you have lots and lots of work to do. Just follow some basic rules in stead of staring yourselves blind on coding. You are dealing with people, not with machines. Hello again, Just had a look at the documentation on developer's homepage (screenshots and "manuals", forum). Just this tiny bit short of 'something', just this tiny bit above 'nothing'. The screenshots don't show me anything at all that I couldn't pick off the net! i.e. : dull and without any hint towards less dull... The "manuals" are just two (2) extra screenshots! I my vocabulary "manual" has a different meaning and more content. I've just quickly scanned the Forum and didn't feel up to search for FAQ's (which are not there)... But perhaps I should have approached this the other way around? Perhaps there was a problem with languages and translations? Developer statement: "The program has been especially developed to meet the needs of both novice and advanced users." Give us a break, will you? When the above minimalistic requirements are not met, don't put your product on the market. Least of all give it away "to meet the needs of (...) the novice"... You're rediculising yourself, your product and your potential costumers. " (...) this tiny bit short of 'something', just this tiny bit above 'nothing' " finally spells "NOTHING"... I'm not saying the program is no good. I'm saying that you have lots and lots of work to do. Just follow some basic rules in stead of staring yourselves blind on coding. You are dealing with people, not with machines. Regards, Patrick. The thumbs-down ratings are something I only casually glance at to get a general idea about any given day's offering here. I prefer to read the comments to seek out valid arguments pro or con about the software. I tend to approach installing a software as a potential long-term commitment, especially if the software turns out to be something I find exptremely useful. it's a pity that so many people have been conditioned to make snap judgements about things without doing any investigation into them at all. What frightens me the most is that these very same people probably also have the right to vote for elected officials, and they likely don't exercise any greater degree of due diligence when they do that, which is one likely reason why Greece is burning as we speak! I thank the GOTD Team for their tireless efforts to bring us the highest-quality software possible, and look forward to exploring today's offering. I DO have a possible use for it, so I'll be leaving a thumbs-up! The thumbs-down ratings are something I only casually glance at to get a general idea about any given day's offering here. I prefer to read the comments to seek out valid arguments pro or con about the software. I tend to approach installing a software as a potential long-term commitment, especially if the software turns out to be something I find exptremely useful. it's a pity that so many people have been conditioned to make snap judgements about things without doing any investigation into them at all. What frightens me the most is that these very same people probably also have the right to vote for elected officials, and they likely don't exercise any greater degree of due diligence when they do that, which is one likely reason why Greece is burning as we speak! I thank the GOTD Team for their tireless efforts to bring us the highest-quality software possible, and look forward to exploring today's offering. I DO have a possible use for it, so I'll be leaving a thumbs-up! @#2: Obviously, if 5 people were able to thumbs-down this software by 12:02, they were also able to access it by then. They could not have rated it if it wasn't displayed yet (for them anyway)! Maybe your clock is off, I don't know. Even so, it only takes about a minute to download and install this little program, so they might have had time to give it more of a try than you may realize. @#3: As already stated, LOL means LaughING Out Loud, not Laugh Out Loud. As for the software itself, I have no need for it, but I am always wary of claims that it's "especially (wrong word, by the way) developed to meet the needs of both novice and advanced users" or something equally full of crap! @#2: Obviously, if 5 people were able to thumbs-down this software by 12:02, they were also able to access it by then. They could not have rated it if it wasn't displayed yet (for them anyway)! Maybe your clock is off, I don't know. Even so, it only takes about a minute to download and install this little program, so they might have had time to give it more of a try than you may realize. @#3: As already stated, LOL means LaughING Out Loud, not Laugh Out Loud. As for the software itself, I have no need for it, but I am always wary of claims that it's "especially (wrong word, by the way) developed to meet the needs of both novice and advanced users" or something equally full of crap! 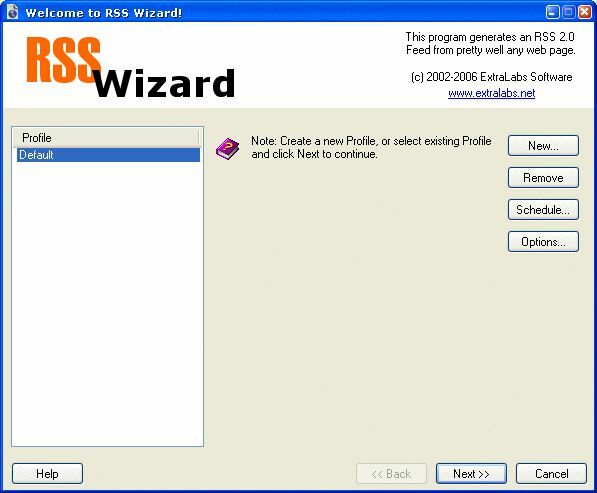 RSSWizard uses Microsoft Visual Basic [VB], which requires that several common files be registered in Windows, so they are available for all VB apps. There were several versions of these VB runtime files & controls as Microsoft developed the programming tools -- RSSWizard does not use the newest -- you can download the most recent VB runtime from Microsoft's site [released years ago], but some of the files included with RSSWizard, like ASYCFILT.dll, I *think* were updated in various Microsoft hot fixes, so they may be a bit harder to track down. 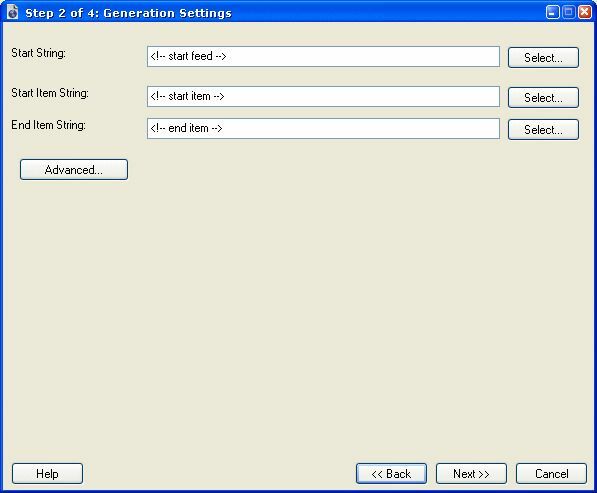 Since some of those [older] files are included in the program's folder, since the setup file has 1/2 dozen for the system folder, & since setup includes directions to register these files & their locations with Windows, installing [& particularly installing then removing] RSSWizard may break other VB apps you already have installed. 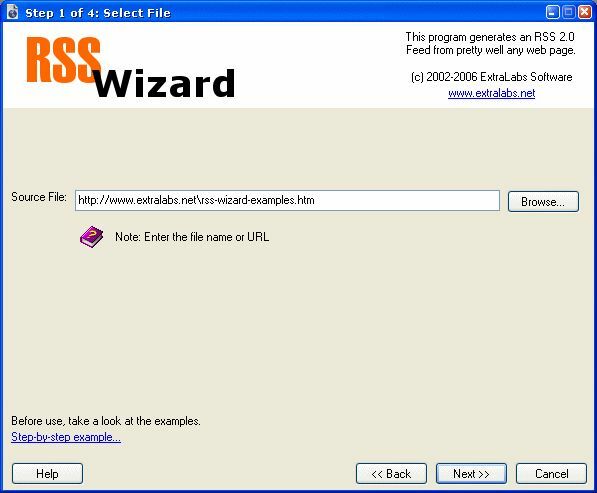 RSSWizard uses Microsoft Visual Basic [VB], which requires that several common files be registered in Windows, so they are available for all VB apps. There were several versions of these VB runtime files &amp; controls as Microsoft developed the programming tools -- RSSWizard does not use the newest -- you can download the most recent VB runtime from Microsoft's site [released years ago], but some of the files included with RSSWizard, like ASYCFILT.dll, I *think* were updated in various Microsoft hot fixes, so they may be a bit harder to track down. Since some of those [older] files are included in the program's folder, since the setup file has 1/2 dozen for the system folder, &amp; since setup includes directions to register these files &amp; their locations with Windows, installing [&amp; particularly installing then removing] RSSWizard may break other VB apps you already have installed. @ DB Aviliers : "about people giving thumbs down, I guess it is to do with their poor command of the vocabulary"
A bit of a lame excuse or strange explanation, seeing that the site is in 12 languages (see Sabine #7). I can only judge about Nederlands (Neteherlands, my mothertongue), French (officially Belgium's "second" language, optionally taught from the age of 9 and compulsary from the age of 12 in Flanders ; while in Frenchspeaking Wallony it's just the other way around), German (Deutch - Belgium's "third") and English (my second language by choice, optional second or third or fourth in official education for any Belgian). Perhaps a bit of a strange situation for non-Belgians but for us everyday "usance". "They read the title of the giveaway, decide they don’t want/need it and click on the “thumbs down”. They don’t know that “Rate It” does not mean “Want it/Need it”". The 'thumbs down' are not necessarily the result of poor command of language. I haven't heard anybody here express real anger "at people who rate it without trying it." - apart perhaps from Sabine obviously ventilating some (understandable) frustration. Your statement that "If you don’t want it, that’s a rating in itself" really doesn't cut wood. It would be a rating if there was a (multidimentional) scale available covering different properties of the software (and wanting something or not is not a property of anything). A bit like Ashraf's reviews that give a more or less weighted ordeal ranging from "thumbs up" to "thumbs down" and some categories between those extremes... ànd accompannied with facts and arguments to support his final recommendation. You might make a parallel with elections, voting systems, democratic representation, etc... Using the "thumbs up/thumbs down" system in politics would lead to the physical elimination of all candidates but one (comparable to the old Roman 'games' in the Forum. Hardly a rating system, wouldn't you agree). Saying that “no matter how bad a software is, if people want it, (they'll buy it and so) it will sell anyway” is logically exactly the same statement. The ‘difference’ between the two may make you more aware of what the difference between 'straight' and 'crooked' thinking is all about. Still nice background reading is Robert H. Thouless’ “Straight and Crooked Thinking” (first published in 1930 and revised in 1953 which describes, assesses and critically analyses flaws in reasoning and argument. (…) a practical manual, rather than a theoretical one [from Wikipedia – not my bible, just a memory aid ;) ]. So, Gary #9, there is NO rating at all, not the software, not the user. All the above is in good humour and no offence intended! First: I really know next to nothing about RSS and related subjects. I’ll have to do some research and experimenting this summer. But I NEED SOME “RSS FOR DUMMY’S HANDBOOK” OR ONLINE GUIDANCE without having to Google ad infinitum. It really is not laziness on my behalf, just sheer lack of time. I don’t run my own website, I don’t even have one –and have no immediate ambition in that direction either. So I may be completely wrong in supposing that RSS may well be an extra asset in a offline (= off-Web) teaching/learning environment. E.g. as part of teaching/learning basic webpagedesign. Extract (video and/or audio) content from an existing webpage and integrate it into…whatever? The ad at top of page here sounds promissing, but…I’ll have to check the developer’s page(s) to get any wiser. And I’ll have to take the flash tutorials there of course! Before the offer runs out..
@ DB Aviliers : "about people giving thumbs down, I guess it is to do with their poor command of the vocabulary" A bit of a lame excuse or strange explanation, seeing that the site is in 12 languages (see Sabine #7). I can only judge about Nederlands (Neteherlands, my mothertongue), French (officially Belgium's "second" language, optionally taught from the age of 9 and compulsary from the age of 12 in Flanders ; while in Frenchspeaking Wallony it's just the other way around), German (Deutch - Belgium's "third") and English (my second language by choice, optional second or third or fourth in official education for any Belgian). Perhaps a bit of a strange situation for non-Belgians but for us everyday "usance". Considering that 11 of the languages in which this site is written represent a huge portion of the world population ànd that Nederlands is to many people a rather "exotic" one( once described as "an affection of the throat" by a famous Netherlands comedian :) and not really a (world-)language of equal importance compared to English, Spanish, Portugese, Russian,...), your primary observation/explanation seems less probable than your secondary interpretation: "They read the title of the giveaway, decide they don’t want/need it and click on the “thumbs down”. They don’t know that “Rate It” does not mean “Want it/Need it”". The 'thumbs down' are not necessarily the result of poor command of language. I'm more inclined to follow Sabine #7 on this issue (even though I don't subscribe to "Most of it is really just cynical silly stuff from those who have not even downloaded it, just to have something to BS". Some serious statistical analysis might really teach us something valuable ;-) Besides: a rating system which allows for yes/no, up/down, black/white, is no rating system at all. It's a voting system... In this case however, it's not clear what the voting is all about... @Universal Cynic #8: I haven't heard anybody here express real anger "at people who rate it without trying it." - apart perhaps from Sabine obviously ventilating some (understandable) frustration. Your statement that "If you don’t want it, that’s a rating in itself" really doesn't cut wood. It would be a rating if there was a (multidimentional) scale available covering different properties of the software (and wanting something or not is not a property of anything). A bit like Ashraf's reviews that give a more or less weighted ordeal ranging from "thumbs up" to "thumbs down" and some categories between those extremes... ànd accompannied with facts and arguments to support his final recommendation. You might make a parallel with elections, voting systems, democratic representation, etc... Using the "thumbs up/thumbs down" system in politics would lead to the physical elimination of all candidates but one (comparable to the old Roman 'games' in the Forum. Hardly a rating system, wouldn't you agree). Also: "No matter how good a software is, if people don’t want it, it won’t sell anyway" is a half-truth. People will not buy solely with quality in mind. Needfulness, usefulness, affordability, social pressures, to name just a few, are equally (if not more) important. Anyone who ever read "The Hidden Persuaders" by Vance PACKARD (1957) knows about the fundamentals of advertising, PR and related subjects. Things haven’t fundamentally changed… Saying that “no matter how bad a software is, if people want it, (they'll buy it and so) it will sell anyway” is logically exactly the same statement. The ‘difference’ between the two may make you more aware of what the difference between 'straight' and 'crooked' thinking is all about. Still nice background reading is Robert H. Thouless’ “Straight and Crooked Thinking” (first published in 1930 and revised in 1953 which describes, assesses and critically analyses flaws in reasoning and argument. (…) a practical manual, rather than a theoretical one [from Wikipedia – not my bible, just a memory aid ;) ]. Perhaps Universal Cynic may consider changing alias? ;-)) So, Gary #9, there is NO rating at all, not the software, not the user. All the above is in good humour and no offence intended! I sometimes get carried away… In this case, however, I find that this discussion rightfully exceeds the set limit of “concerning the software only”. I could not let this go without (my personal) comment. I hope that Sabine #7 will not take this as BS-ing ;-) ABOUT THE SOFTWARE… First: I really know next to nothing about RSS and related subjects. I’ll have to do some research and experimenting this summer. But I NEED SOME “RSS FOR DUMMY’S HANDBOOK” OR ONLINE GUIDANCE without having to Google ad infinitum. It really is not laziness on my behalf, just sheer lack of time. I don’t run my own website, I don’t even have one –and have no immediate ambition in that direction either. So I may be completely wrong in supposing that RSS may well be an extra asset in a offline (= off-Web) teaching/learning environment. E.g. as part of teaching/learning basic webpagedesign. Extract (video and/or audio) content from an existing webpage and integrate it into…whatever? The ad at top of page here sounds promissing, but…I’ll have to check the developer’s page(s) to get any wiser. And I’ll have to take the flash tutorials there of course! Before the offer runs out.. Hear/read you in a couple of hours. Urgent things to do now, like preparing a meal, catch some sleep… Cherrs, Patrick. @ #10 - If you are using a service like Blogger, the RSS feed is created automatically.... so you don't need this software. On the other hand, if you are using plain vanilla site hosting you need to be able to create the XML for whatever RSS feeder you use (Feedburner etc.). That's where RSS feed creation software like this is needed. The HTML > XML feature in this software may not support all HTML tags or have some limitations, but that is perfectly fine in most instances. The user just needs to adapt. The main issue here is ease of use. An RSS feed is always a good feature for a web site but few people actually use it. So I for one do not want to spend much time authoring the feed. I am looking forward to try this offering out. Thanks GAOTD and ExtraLabs for this opportunity. @ #10 - If you are using a service like Blogger, the RSS feed is created automatically.... so you don't need this software. On the other hand, if you are using plain vanilla site hosting you need to be able to create the XML for whatever RSS feeder you use (Feedburner etc.). That's where RSS feed creation software like this is needed. The HTML &gt; XML feature in this software may not support all HTML tags or have some limitations, but that is perfectly fine in most instances. The user just needs to adapt. The main issue here is ease of use. An RSS feed is always a good feature for a web site but few people actually use it. So I for one do not want to spend much time authoring the feed. I am looking forward to try this offering out. Thanks GAOTD and ExtraLabs for this opportunity. Can someone explain (via a real life example) how this program can be used? Specifically, I publish several (100's) of PLR article sites that I've monitized. I earn a nice (not great, but nice) income from them. Can this program be used to help the sites rank better with the various search spiders? I got an error after installing and attempting to run it for the 1st time on Windows XP SP1: "This application has failed to start because the application configuration is incorrect. Reinstalling the application may fix this problem." Not cool. It doesn't support non-latin HTML page encodings properly. I think Yahoo Pipes is a better model for this sort of processing because it's running all the time on someone else's server. And they're pretty good at writing scrapers, which are kept up to date. Regardless of how good this program is, I don't see how it can beat a hosted service. What do people who like this see as it's advantages? Re #8, that's not rating the software, it's rating the user. Re #8, that's not rating the <i>software</i>, it's rating the <em>user</em>. Don't be angry at people who rate it without trying it. "Not wanting it" is a rating by itself. No matter how good a software is, if people don't want it, it won't sell anyway. If you don't want it, that's a rating in itself. @#2,SkippyElectrochomp: the rating is from all language pages together, and - being German myself - every now and then I read the comments on the German page and run away, as I prefer the English page. The Germans are making a sport out of rating negatively, simply to rate negative. The commnets are mostly extremely stupid, BSing the software etc., without having downloaded and tried it. Things like, they think everyone in the world must speak German - bad rating just because a software does not have a German UI. Or, common, because they don't need a software or don't even look what it can be used for they find it completely useless. And if it is useless for the little "me", it does not think beyond that there live more people in the world who well may want just that piece of software. These people think just for them every day GAOTD has to offer something that they especially would want. There is very rarely a comment that really has downloaded and tried the software and gives a useful information. Most of it is really just cynical silly stuff from those who have not even downloaded it, just to have something to BS. Often if anyone really writes a useful comment and likes the download, they get rude comments for that as well. On the other hand more intelligent folks there does not write commenst nor rates, because of that. They just download and stay quiet. As for me, if I wish to comment /rate, I do it on the English page. Maybe that clarifies the weird thumbs ratio. @#2,SkippyElectrochomp: the rating is from all language pages together, and - being German myself - every now and then I read the comments on the German page and run away, as I prefer the English page. The Germans are making a sport out of rating negatively, simply to rate negative. The commnets are mostly extremely stupid, BSing the software etc., without having downloaded and tried it. Things like, they think everyone in the world must speak German - bad rating just because a software does not have a German UI. Or, common, because they don't need a software or don't even look what it can be used for they find it completely useless. And if it is useless for the little "me", it does not think beyond that there live more people in the world who well may want just that piece of software. These people think just for them every day GAOTD has to offer something that they especially would want. 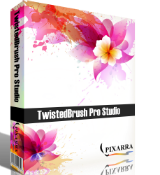 There is very rarely a comment that really has downloaded and tried the software and gives a useful information. Most of it is really just cynical silly stuff from those who have not even downloaded it, just to have something to BS. Often if anyone really writes a useful comment and likes the download, they get rude comments for that as well. On the other hand more intelligent folks there does not write commenst nor rates, because of that. They just download and stay quiet. As for me, if I wish to comment /rate, I do it on the English page. Maybe that clarifies the weird thumbs ratio. @ No.2,Skippy Electrochomp: Re your comment about people giving thumbs down, I guess it is to do with their poor command of the vocabulary. They read the title of the giveaway, decide they don't want/need it and click on the "thumbs down". They don't know that "Rate It" does not mean "Want it/Need it" . Now, I need your help on something very simple; I have been coming to this site for some time now and I have been able to easily decode all the abbreviations used by people, such as FYI, IMHO, FWIW, etc., etc. except one which is very often used here, and that is "LOL" the one you have used. Could you please tell me what it means? @ No.2,Skippy Electrochomp: Re your comment about people giving thumbs down, I guess it is to do with their poor command of the vocabulary. They read the title of the giveaway, decide they don't want/need it and click on the "thumbs down". They don't know that "Rate It" does not mean "Want it/Need it" . Now, I need your help on something very simple; I have been coming to this site for some time now and I have been able to easily decode all the abbreviations used by people, such as FYI, IMHO, FWIW, etc., etc. except one which is very often used here, and that is "LOL" the one you have used. Could you please tell me what it means? Lol, why do people immediately thumbs-down a product they haven't even DOWNLOADED? I came here 12:02 AM [which was the earliest I could get here; any earlier and it didn't display the next giveaway] and there were already 5 thumbs down and 0 thumbs up. I'll give this program a more thorough test run later. It's 12:21 AM here and I'm tired! Lol, why do people immediately thumbs-down a product they haven't even DOWNLOADED? I came here 12:02 AM [which was the earliest I could get here; any earlier and it didn't display the next giveaway] and there were already 5 thumbs down and 0 thumbs up. Anyways, about the program. Apparently, you can't just take any old webpage from online and turn it into a RSS feed. It needs to be set up in one of two ways, both of which are explained here: http://www.extralabs.net/rss-wizard-examples.htm [This link is also included in the program itself, but I should post it here just to make sure people know about it.] I'll give this program a more thorough test run later. It's 12:21 AM here and I'm tired! it’s simple and easy to use too. when I use this to do HTML to converter RSS , this can be work in a short time . Install and activated successfully.program is consider user friendly and stable it’s simple and easy to use too. when I use this to do HTML to converter RSS , this can be work in a short time .